In this series of articles we'll write about one or more Mario games per day, each representing a different year as part of our Super Mario 30th Anniversary celebrations. Nintendo has some rules that it follows with its games and franchises, particularly in terms of frequency. There's one Super Smash Bros. game on each home console, one Mario Kart, and one 3D Mario. Well, rules are there to be broken. 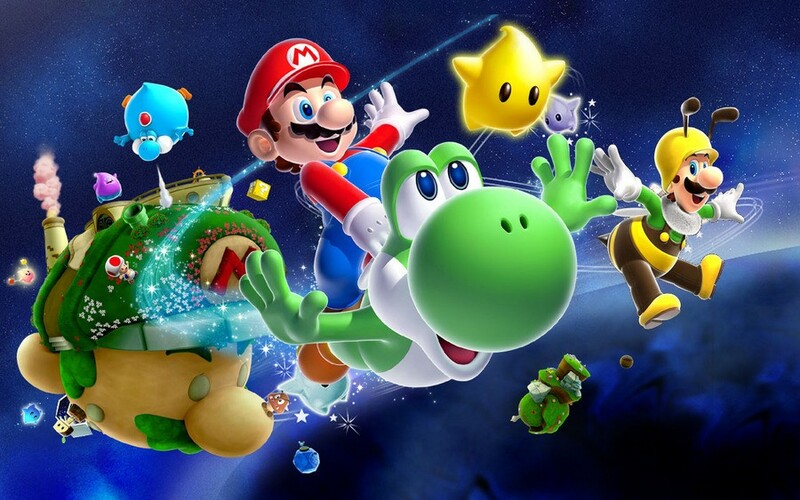 We've previously written about how Super Mario Galaxy wowed Wii gamers, even if it couldn't compete commercially with the 2D Mario that would follow. It was the 3D Mario of the Wii generation, so there was surprise and delight when Nintendo revealed Super Mario Galaxy 2. It wasn't unheard of for Nintendo to do this - as highlighted in this Iwata Asks The Legend of Zelda: Majora's Mask was a sequel that utilised the innovation and hard work that had gone into producing The Legend of Zelda: Ocarina of Time. As you can see in the following excerpt from that interview, it was the original intention for this game to actually be an expansion as opposed to a sequel, yet it went further than expected in development. Iwata: So development of Super Mario Galaxy 2 began with using the first game's environments exactly as they were. Not 2, but 1.5. So you wouldn't get too carried away. Miyamoto: Right. We began with the intention of making a game labelled 1.5, but the development staff members were saying things like "It would be fun if we had more environments like this" and "Let's put in more new stuff." It was like "More, more, more!" and new environments started multiplying rapidly. The next thing I knew, more than 90% of the courses were new and I couldn't tell where we had kept anything from the previous game! Iwata: So in the end, it became 2 rather than 1.5. There were certainly plenty of new level ideas in this sequel, along with a World-based layout - or Galaxy-based, actually - and some new transformations such as the fluffy Cloud Mario. 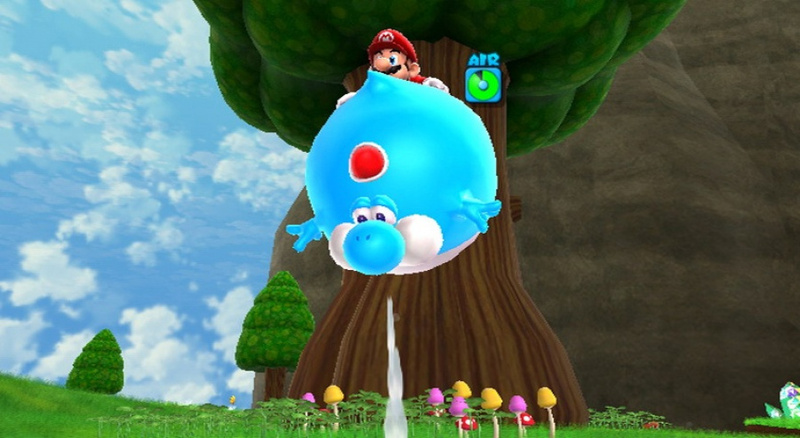 The big-ticket inclusion was Yoshi, of course, who featured in specific stages with the ability to swallow enemies and spit them out as projectiles. Other capabilities included swinging on pegs with its tongue and also dashing at high speed through certain levels. Overall this sequel combined new ideas with a slightly higher level of challenge, with the last level being a true test of a platformer player's mettle. The two player co-op was also beefed up slightly, with the Wii Remote pointing second player controller a Luma also able to attack enemies directly and drag items to Mario (or Luigi). Arriving later in the Wii lifespan, arguably when it was already fading in popularity, Super Mario Galaxy 2 was a commercial success without matching the unit sales of the original. It was critically acclaimed, with the debate being ongoing whether it was an improvement on the original, merely an iteration or even not up to the level of its predecessor. That debate will rumble on through the ages - this author is firmly in the camp of regarding it as a sequel that is an improvement over the original, so feel free to heartily disagree in the comments. Wherever you stand, ultimately, this is still an essential play on the Wii and a wonderful Mario game; it's available on the Wii U eShop, too. But I digress, I found that the game feels like an expansion pack to the SMG1. SMG1 was amazing, and playing it for the first time was a wonderful experience. Playing SMG2 was not the same, as it felt like SMG1. Not a bad thing, but they were few surprises once you knew how the game is. It feels like a mod to the SMG1, but still, SMG2 is a wonderful game. I personally loved the green star hunting, despise that some were in insane locations. SMG 2 was slightly better than its predecessor- technically. However, the original boasts vastly superior storyline and felt a whole lotta more meaningful, which is why I prefer it. Both games are stellar though. I liked the home base in Galaxy 1 a lot more than the flying Mario head, but they're both great games. Semantics. If call galaxy 2 an expansion pack, practically all of Street Fighter is an expansion pack. I didn't get as into 2 as I did 1. They're both great, but Galaxy 1 seemed like this brave new world that had never been explored before and Galaxy 2 felt like an expansion of the ideas presented in 1. Ahhh... Galaxy 2. While it lacked some of the story elements of Galaxy 1, I felt the game on the whole was better. The new power-ups are well-implemented without being overbearing, the difficulty level increased significantly (which was good given that Galaxy 1 was way too easy)... just overall one of the best gaming sequels that has ever been and ever will be, and an even better game overall given the sheer brilliance of its predecessor. One of my top ten games of all time, no question. Truly a level pack. Still nowhere as good as the first Galaxy. Never bothered getting all the stars. Super Mario galaxy 2 is better than one but I still prefervthe original. The difficulty on number 2 is too high towards the end which ruined my enjoyment of the game. Still awesome though. Galaxy was great (and it had the superior story, music by slightly), but I found Galaxy 2 to just be superior in terms of gameplay. Galaxy was way too easy, and though I did like it, Galaxy 2 just refined everything in the first game + increased difficulty, and was overall a more fun experience for me. Both are superb games though. Galaxy 2 was the most expensive dlc I ever bought! Beat it in a day. Took a week to get all the stars. Another to get the green stars. And then into the pile of mediocre titles it went! Galaxy 1 is still on my shelf next to Sunshine and 64. I feel like Galaxy 1 is the superior version, just because it felt revolutionary (for a Mario game) at the time of it's release, where Galaxy 2 just felt like a watered down version of Galaxy 1. It's basically DLC stretched out into an entire game, there's a lot of recycled ideas in this game. I also consider it to be inferior to the original thanks to the inferior hub and less gravity mechanics. It does have some interesting ideas, but Galaxy 1 is definitely better. Yes, yes and yes. Best game of all time Period! It's nothing like a level pack. It's much better, the addition of Yoshi is a strike of genius. I wish too it had a story, but to be honest, the first story was really very stupid. Not that I didn't like it in its own Japanese way, but it was a story that made no sense and was kinda boring, so I didn't miss it... Running around on Yoshi was the best experience ever. I feel similarly about this game as I do about the original Super Mario Galaxy. I'd say it's definitely a game in its own right. Not sure which game I prefer but it is annoying that New Super Mario Bros Wii sold more. Course it's a sequel and it's certainly a better game than 1. Started playing 2 again last week and it's just as incredible as I remember... So many different styles and nice uses of the wii mote... Each level offers something different. Really is a masterpiece. Looking at the wii back catalogue.... It's really quite sad that it's not remembered more fondly... There's cracking games from every genre!! My reaction to Super Mario Galaxy 2... more Super Mario Galaxy?! Yes please! Not as magical as the first one, (how could it be?! ), but another absolute masterpiece as far as I'm concerned. Super Mario Galaxy 3 in HD? Yes please Nintendo! Galaxy 2 was a good game, but I didn't enjoy it as much as the 1st Galaxy or either of the earlier 3D Mario games. As DarthNocturnal said earlier in these comments: "Please let the next 3D Mario not be Galaxy 3..."
However you look at it, it's more Mario Galaxy and its awesome. I still feel like smg2 is better and more challenging then smg1. I'd compare it to smb1 and lost levels in spirit. smg2 was one of the most challenging to 100% then any other Mario in my opinion. It was a level pack, but that's not a bad thing when the levels are this good. I actually prefer 1 nowadays though its very close and I had just as much fun with 2 on the first play through. A better game than 3D World too, hopefully the next Mario can live up to this. I felt bland feelings about the first game that I expected more out of it. Luckily, Galaxy 2 stepped in and I was blown away by the fun I had with it. After playing and beating the second game, I felt contented on what I had experienced. I don't care what the majority say about Galaxy 2 being a "rehash", for all I know is, I ain't ever going back to Galaxy 1 after the fun I had with Galaxy 2. Absolutely loved this game, I can never get enough of it. I much prefer Galaxy 2. The flow of play inside the levels seems more natural as opposed to the first's splatter of elements. The only blotch is that it's not attached to a story as much, though one could argue you could completely overlook the story elements of Galaxy 1. I for one really hope for a Galaxy 3! Perhaps Captain Toad can be given a larger role this time too? I adored Treasure Tracker. One of my favourite games of all time. So much better than the original, and even that was one of the best things Nintendo has done. I enjoyed this game as much as I enjoyed Galaxy 1 and it may even be my favorite 3D Mario game. (Or maybe Sunshine). Too bad the story was ditched in this game, I liked the story from the first game. I do kinda agree that Galaxy 2 feels like an expansion pack, but unlike the later NSMB games, it does bring new things to the table. The music in both are fantastic, but I'm not sure which music soundtrack one I prefer. Maybe the first Galaxy? Either way, both are great. I think Galaxy 2 has more interesting levels than the first. Yoshi was a lot of fun to use in Galaxy 2. The camera in both games were a step back from Sunshine IMO. The post game was not that good for both games IMO, which included replaying the game in the first game and collecting green stars in the second game. (But I rather collect green stars though than replay the whole game). Overall, I think Galaxy 2 is an great game, even if it is just an expansion pack or DLC for the first and I prefer it slightly over the first only for the levels, but again, you can't go wrong with either game. I personally think this is the greatest Mario platformer ever made. 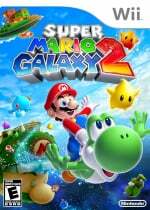 they announced the first sequel to a Mario game ever, and I was kind of bummed about that, felt a little weird, when I was playing Super Mario Galaxy 2, all I kept thinking was how this game was better in every way to the first one, the first galaxy game felt even bad in comparison, Super Mario Galaxy 2 is the most fun I ever had with a video game in my entire life, its a piece of art. If we ever were to show aliens one example of what video games are, what they bring to the table thats unique about them, we would give them a wii and galaxy 2, 'cause its the best we got to show for this whole industry/art form. The length, the visuals, the pace, the music, the gameplay mechanics, all of it, absolutely flawless, its a 10 out of 10 in every way conceivable. Truly can not praise this game enough. @Gridatttack can't agree more with you. I really felt the game was a remake of the first. same tone, slightly better overall. but still an awesome game tho. I think one's personal opinion on which Galaxy game is better depends greatly on which one they played first. As with myself, I played Galaxy 2 first and then went back and played Galaxy 1 afterwards. And while I feel both games are among the greatest games ever made, I feel Galaxy 2 is the stronger game. Admittedly, while playing Galaxy 2 before the original, I was absolutely blown away and thought it was the greatest video game I had ever played. Even after going back and playing Galaxy 1 afterward, I still feel the same way. I think 2 built and improved on 1 with better crafted and more interesting levels, the brilliant use of Yoshi, and it was nice to find and play levels quickly due to the map system. I am willing to bet that many of you, like me, were influenced in the same way, whereas the game you played FIRST, whether it was Galaxy 1 or 2, made the biggest impression on you...which turned out to be the lasting one. Nevertheless, I will always have fond memories of both games. They are without a doubt, the 2 best games I have ever played and I would enthusiastically welcome a Galaxy 3! i played 2 before 1, but as i judge them personally i prefer 2. The only knock against Galaxy 2 is that it didn't come out first. It's really a better game. While I understand that for many SMG was more magical due to it coming out first, SMG2 is the superior game. It built upon the first with better level design and every level (up until around 60 stars) really did feel like it offered something different. It also had a much better difficulty curve. Super Mario Galaxy 2 is probably the best Super Mario and without a doubt, the best 3D one. Such an amazing game, too bad they probably don't have enough fresh ideas for a third entry in the series (can't blame them for that though). Hopefully some day they will. Galaxy 2 was definitely an improvement over the first game. Not only were the levels more challenging and filled with new elements, the two-player co-op acutally made sense! It helped to master the difficulty in the later and harder levels, without taking the challenge out of it. Truely a great co-op game! I played most of the game together with a friend wo usually doesn't like 3D Mario games. I hold MG2 very dear and for me it's the best Mario game so far.